John Flucke's Blog - Ramblings of Dentistry's Technology Evangelist: Google Chrome Syncs Bookmarks - What Lingers Just Over the Horizon? Google Chrome Syncs Bookmarks - What Lingers Just Over the Horizon? 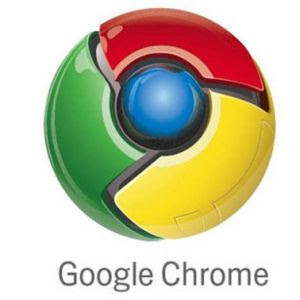 The Google browser, Chrome, is chugging right along. While it doesn't have the market share or Firefox or IE, it's still a great browser and one I use regularly on my Windows machines. It's from Google, so you know it will continue to evolve. In fact, I only use Chrome and Firefox now. Well, Google is always going to be the subject of rumors. That's what happens when you have a company as financially productive as the Big G and it doesn't hurt that Google is always innovating and pushing the envelope. Now comes something that looks like it may have more to do with the rumored Google OS than just Chrome. This month, data synching will come to the Chrome browser. That means that your bookmarks and other data will be stored with your Google account and accessed from it as you surf. Add a bookmark at work and it will be available on your home PC. It's just that simple and seamless. Of course this now brings up the big question of why. I mean, you can get many different toolbars that will store your bookmarks online. The speculation is that this is the first step for a web synching OS that will show up in the future. Could that be showing up in Google Docs? When I look at my Docs page there is an "items by type" drop down that lists (among other things) "files". What are these mysterious "files" that you can store? Could it be that the mythical online "G-drive" storage is near? All speculation at this point, but Google is definitely changing the landscape. Stay tuned.